Being in the MTC is like being on board a ship. Everything that is taught here is our preparation before joining our vessel, for example steering, lashing, mooring, fitting, welding, splicing and much more. 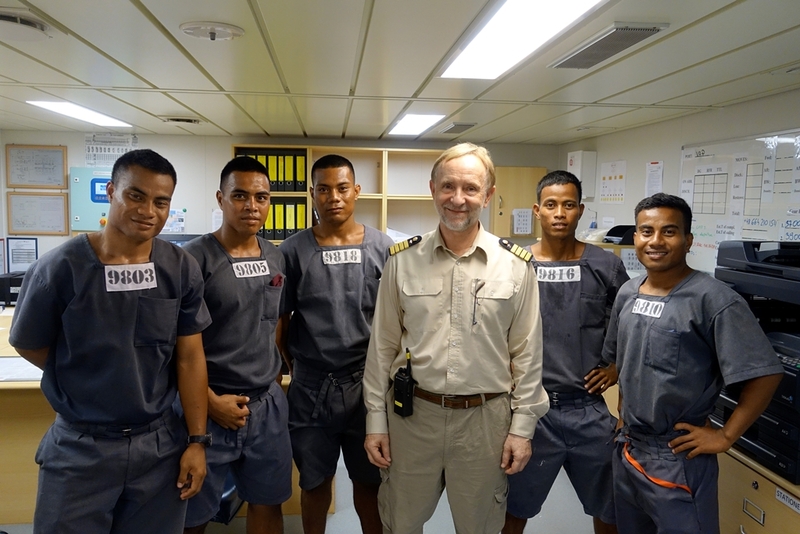 On 30th August it was announced by MTC’s chief officer that I am one the five trainees who have the chance to visit the Hamburg Süd ship Santa Ursula. I was very surprised but I felt very happy. 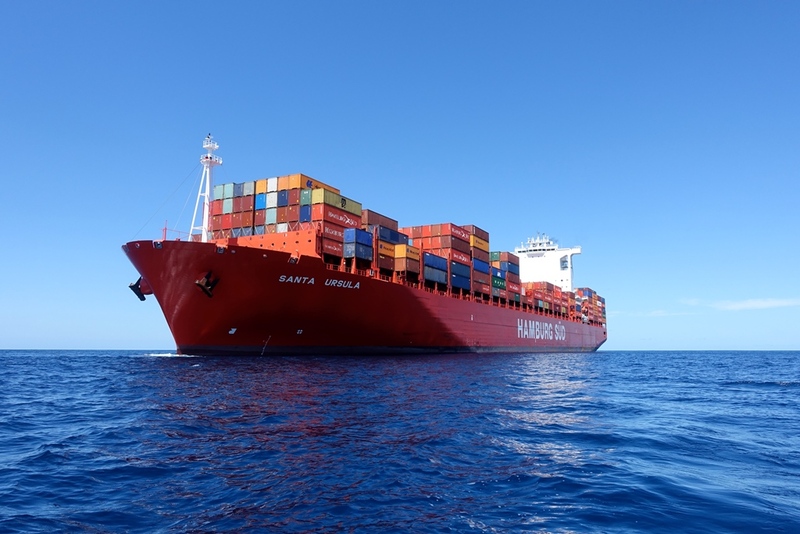 When we reached the Santa Ursula I was very excited because this was my first time to see a very big container vessel. We boarded the ship at 11:15 on Friday, 1st September and we were given our ID’s by the gangway watchman. Then we went to the cargo office where the chief officer does the cargo planning and ballasting. At the bridge we saw all the navigation equipment and controls we learned about at school: helm, rudder indicator, radar, gyro repeater and so on. The third mate showed us everything and explained how it is operated. We also saw that the ship has an elevator, a swimming pool and a huge cabin for each crew member. After all we finished with the bridge and the accommodation at lunchtime. Therefore we joined the lunch, which was delicious. We ate any kind of food like meat, vegetables, biscuits, ice cream and I really liked it. We continued the tour to the foc’sle. On our way we saw a bent ladder. We found out that a breaking rope that hit the ladder caused the bending. Therefore you should keep clear and stay away from the snap back zones during mooring or when your vessel is alongside because a breaking rope can cut through your body and kill you. We saw the mooring winches with drum ends, multi-angle fairleads and so forth. On our way to the poop deck we saw a real safety store, the garbage store, the SOPEP store and so on. Lastly, we visited the engine room where the second engineer guided us. In the engine room we saw huge machineries that we have not seen before in reality, but have been learned about in school such as the main engine, exhaust manifold, turbochargers, pumps, the shaft, purifiers, plate type cooler, generators and spare parts for the main engine which are very huge, too. Hopefully, one day we will board this kind of vessel to carry out our job as real seafarers!